Response: Ever since Flint, there’s been a lot of interest by the public in how to reduce exposures to lead in water. Several news articles suggested that many consumers and school officials have been considering flushing as a routine exposure prevention measure. But before Flint, we had a much worse lead in water crisis which didn’t get as much public attention- an event which happened in Washington DC between 2001 and 2004. 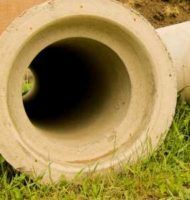 That event demonstrated that flushing for only 15–30 seconds would expose people to lead in cities which had lead service lines- these are water pipes which bring water from the main in the street to the home. A decade of follow up research confirmed that flushing protocols are highly dependent on variables that are difficult or impossible to control, including the length, material, condition and disturbance of water service lines, and water use patterns. However, this knowledge has not translated into widespread changes in public health messaging. In fact, the EPA still requires water utilities to promote flushing as an exposure prevention measure. The original required messaging was to run the water for 15–30 seconds. EPA eventually recognized the need for longer flush times in homes with lead service lines, and they revised the regulations to allow utilities to modify flush times, but many water utilities continued to rely on the same messaging year after year. We thought it was about time to test the recommendations in one of these cities- New Orleans, LA. Best estimates from the mid-1990s suggested that lead service lines may comprise 65–80% of the city’s service line system. The city’s water utility encouraged residents to flush their taps for 30 sec to 2 min daily under normal use conditions. New Orleans is unique in that extensive hurricane damage to water infrastructure has necessitated a historically unprecedented scale of infrastructure replacement. While over ten years have passed since Hurricane Katrina, the rebuilding process is ongoing—city and utility officials are in the process of conducting 16,000 partial lead service lines replacements- activities which are well known to destabilize scale that has been intentionally built up in the pipes over time to reduce lead from leaching into the water. We had previously observed high water lead levels in homes after line replacements- along the order of 200 ppb. To put that into perspective, the EPA’s water standard for lead is 15 ppb. But even in undisturbed normal use homes we observed lead levels as high as 58 ppb. To evaluate whether flushing could effectively reduce water lead levels, we collected over 1400 water samples from 376 residential sites. Samples were collected at first draw, and after incremental flushes of 30–45 s; 2.5–3 min; and 5.5–6 min. We also collected survey data to better understand water use habits, homes treatment systems, and flushing practices. Response: We had a project looking at toxic metals in consumer plastics and paints and as part of the study analysed decorated glassware product. With respect to the latter, and from a health perspective, it is concerning that metals that have been banned or restricted by so many industries over the past few decades are still used to decorate contemporary drinking glassware. 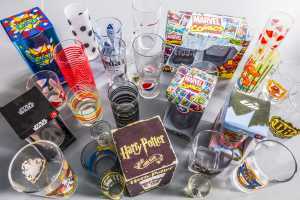 Drinking glasses that are most hazardous are those where the décor extends into the lip area within 2 cm of the rim, and those that target children. Dr. McClure: Quest Diagnostics is the leading provider of diagnostic information services, providing clinical lab testing to about one in three American adults each year. As a result, we’ve amassed the largest private clinical laboratory database in the United States, based on 20 billion data points from lab testing. Quest uses this data (in de-identified, HIPAA compliant form) to perform research — called Quest Diagnostics Health Trends(TM) — to reveal insights on important health issues to inform clinical patient management and health policy. Other Health Trends reports have focused on diabetes, pregnancy and influenza, among others.